Kathleen has been practicing Rapid Eye Technology for 25 years and is passionate about her work. 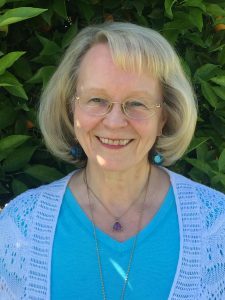 Kathleen is a Master Rapid Eye Technician, Ordained Minister, Reiki Master, Certified SHEN Practitioner, and Frequency of Brilliance Practitioner. She also offers Essential Oils to assist the release of deeply held emotions and stress within the body. She serves the counties of Los Angeles, San Bernardino, Orange and the San Gabriel/Inland Empire. She is also available for phone sessions. Once upon a time, Kathleen held all her emotions inside and lived her life with low grade depression, low self-esteem, and anxiety. Through the miracle of Rapid Eye Technology, she discovered who she really is and found freedom, self-love, peace, and joy! She finds great satisfaction in facilitating journeys of transformation. She creates a loving, safe, and non-judgemental environment for self-acceptance and healing. Is it time to remember who YOU are? Is it time to heal your heart and step into all that you are and all that has been waiting for you? If the time is right, call or text today for a complimentary 30 minute phone consultation. I look forward to speaking with you.